“Everyone’s Annual NYE Morning Hike to The Wisdom Tree” returns December 31 for the last hike of the year! Join an awesome group of hikers as you check out the best view in Griffith Park, with the Wisdom Tree as your final destination. 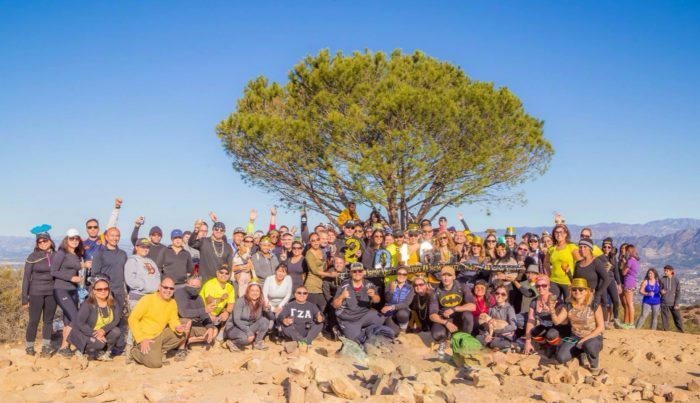 Hikers are encouraged to wear black and gold, party hats, and poppers in honor of the New Year’s Eve theme. Gather between 6:30 and 7 a.m. for a start time of 7:15 a.m. This is an intermediate Level 6 hike with a round-trip distance of 8.5 miles, averaging roughly 4.5 hours. Be sure to bring water and a snack/meal for the hike – plenty of stretching is also advised!